Learn about our team and see our FAQs for more information. We think a membership-supported model is better for the kind of journalism we produce than an advertising-supported model, which tends to create incentives for page views at all costs. 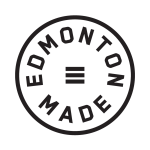 Taproot Edmonton members make it possible to put more curiosity-driven local stories into the world. Join now to help make a difference. Not ready? Join our mailing list for free.